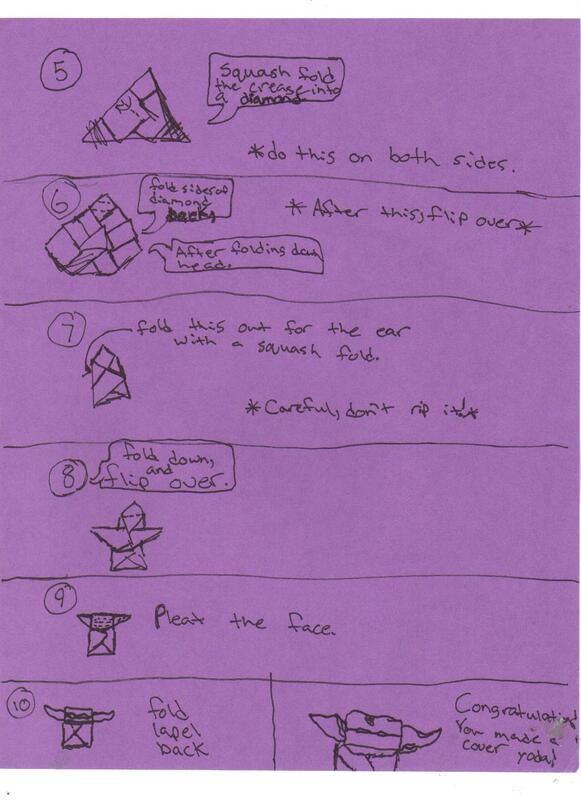 These are really great instructions. However, I am having trouble reading them. Could you please write them a bit more clearly? It seems that the Sharpie marker you used was bleeding together. Thanks for your help! You might be able to read them a little better if you clicked view full size when you go into the picture gallery. These new instructions are much more clear- thanks for the quick response. I love the amount of detail in your work over all. Very impressive! SF Megan/phred said she needs more holiday stuff for the holiday edition of the SF news paper.I posting this on all SF sites. love it! 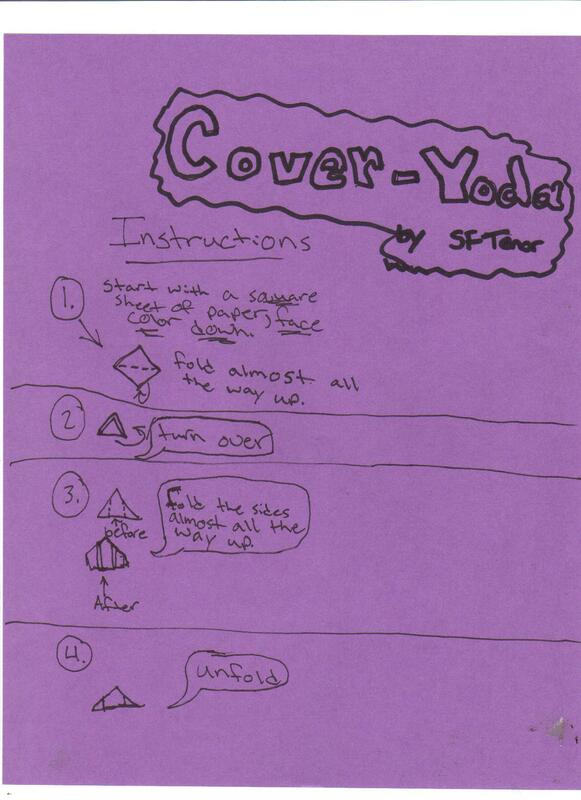 I invented my own cover yoda using folds from you, Tom and me! sweet !!!!! i am totally making one right now !!!!!!!!! Cool but I dont understand the part when you fold the head down.